A great eye palette if often the all you need to get you through a season, so imagine how versatile it can be for your travels. 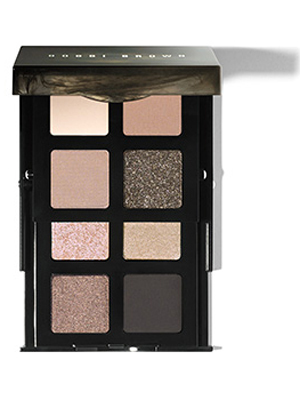 Like that perfect LBD, Bobbi Brown's Smokey Nudes Collection is that core collection of items that are universally flattering and totally practical. The eight shade palette is a highlight -- composed of just the right variety of flattering shades to create everything from a soft day eye to a dramatic evening look for fall and beyond. Let's face it, on vacation you don't always want to be spending an hour on your hair in the morning. For those days (or after a red-eye) we like to use a dry shampoo to refresh our locks. 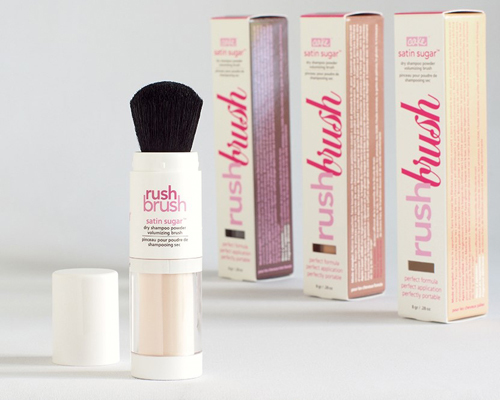 Cake Beauty's new Brush Rush is their award-winning Satin Sugar Dry Shampoo, but packaged in a convenient and travel-friendly applicator. Bonus, not only is the applicator refillable, but it's available in "Darkest Hues" for those with dark brown and black hair. We love the sweet scent and how easy it absorbs your hair's oils. 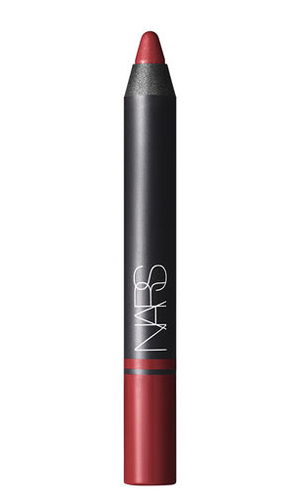 One of the easiest ways to make an instant impact with your look is with the swipe of a shade on your lips. Even if you're not feeling fresh, throw on a bold hue and your outfit is complete. This satin pencil is hydrating and long-wearing, not to mention in a perfect fall hue, best paired with an autumn weekend away. 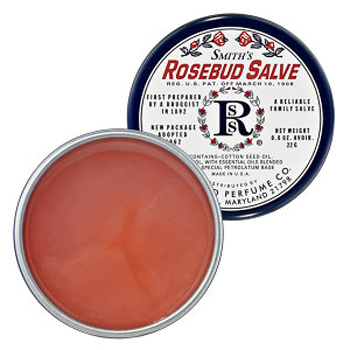 It may not be new, but this is one of those beauty products that is a travel saviour. 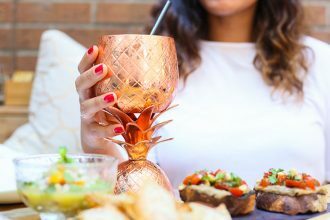 Best to help dehydrated lips, you can use it anywhere your skin feels a little parched -- anywhere from your cuticles to elbows -- not to mention it's a great lipstick base, can help with blemishes and can calm frizzy hair. Talk about multi-tasking beauty, right? All of those rays you caught over the summer might have left you with a few more freckles (a.k.a. sun spots) than you hoped to, despite your regular SPF use. 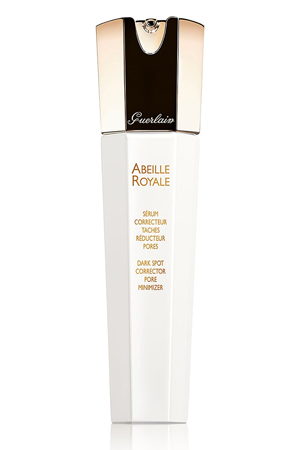 Now that fall is here take the time to treat them with a dark spot remover, like Guerlain's dark spot corrector that also tackles your pores too. Forget packing a scent, when you can literally wear it on the plane or wherever your travels take you. 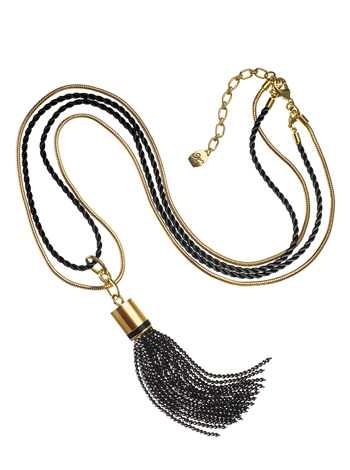 The black silk cord is infused with a fragrance that lasts up to a year and comes in six different scents to choose from. Done in either an 18k gold-plated or rhodium-plated base, it's a sophisticated way to show off your scent. 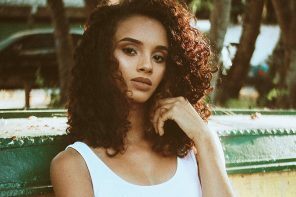 With the cooler temperatures officially here, it's key to transition over to a heavier moisturizer -- or really a moisturizer with quality ingredients that will properly hydrate your skin. 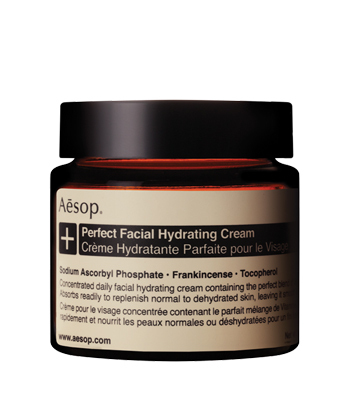 Aesop's hydrating cream is chalked full of Vitamin C for those who are suffering from serious dehydration.